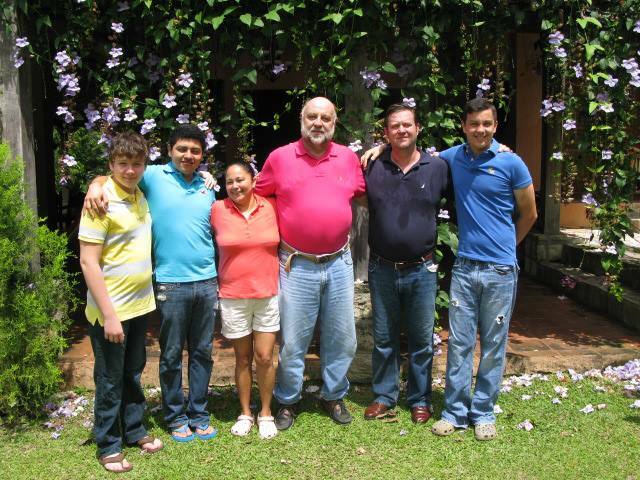 La Villa de Soledad is a family business run by the Dupuis – Aguirre family. Soledad Aguirre de Dupuis is a Honduran native with outstanding hospitality who has opened up her beautiful home to guests. Sole, we affectionately call her,is from the town of Copan Ruinas. She has been in contact with international travelers since she was a young girl. Soledad has a natural touch as a cook and prepares local and international dishes that are outstanding. John Dupuis, born in Mexico from European and North American background, chose to live in Honduras after falling in love with beautiful Soledad. His main activity in Honduras has been with tourism. He is the founder and former editor of the Honduras Tips travel guide. Currently, he is the editor of the Honduras Travel.com blog. John’s position has given him the unique opportunity of traveling throughout Honduras and discovering the many enchanting spots with great potential for tourism that abound in Honduras. It was during his trips around the country that he discovered the unique spot where La Villa de Soledad sits. After buying the property, he and Soledad decided to share the unique location with other travelers. The carefully designed and built a lovely, charming home that would operate as a bed and breakfast.